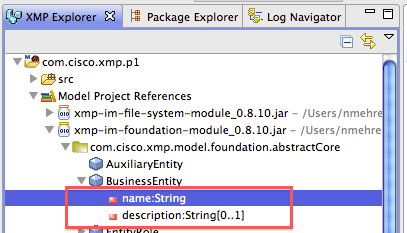 Users are now able to annotate attributes, methods, and constants of artifacts referenced in module JARs. 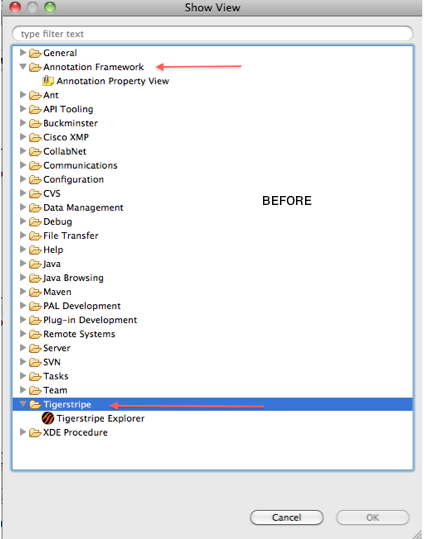 This enhancement removed all JDT-specific UI from Tigerstripe Explorer. These were visible after expanding a refrenced TS module JAR. 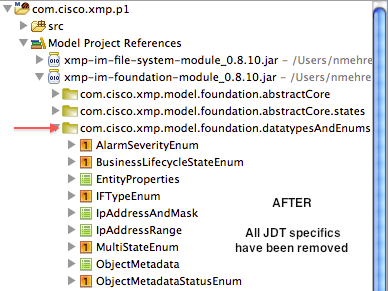 As an example, right clicking on an Entity would reveal two Open actions (one for JDT, one for Tigerstripe). 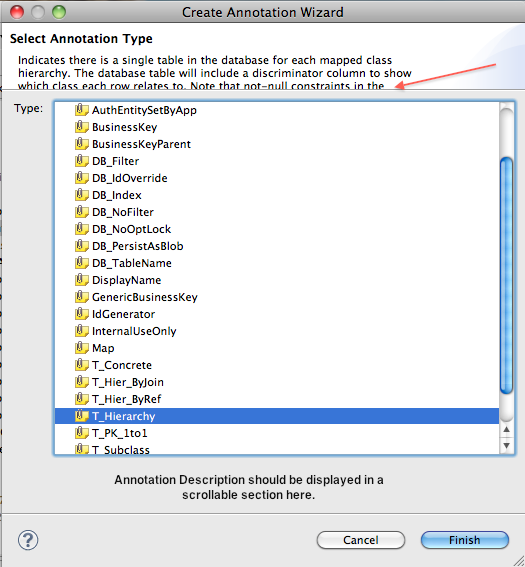 This enhancement allows users to capture the description for annotation attributes. This description can then be relayed back to clients of annotations. Please see corresponding enhancement on how you can leverage this functionality. 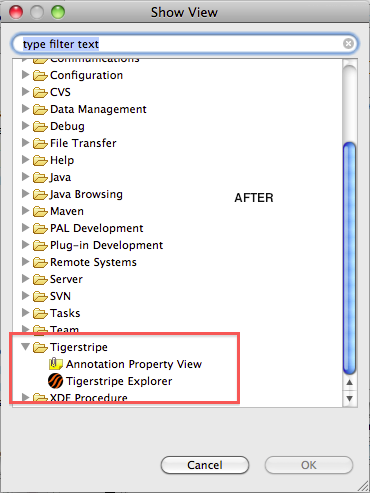 This enhancement provides the ability to display annotations in Tigerstripe Explorer and Class Diagrams (similar to stereotypes). 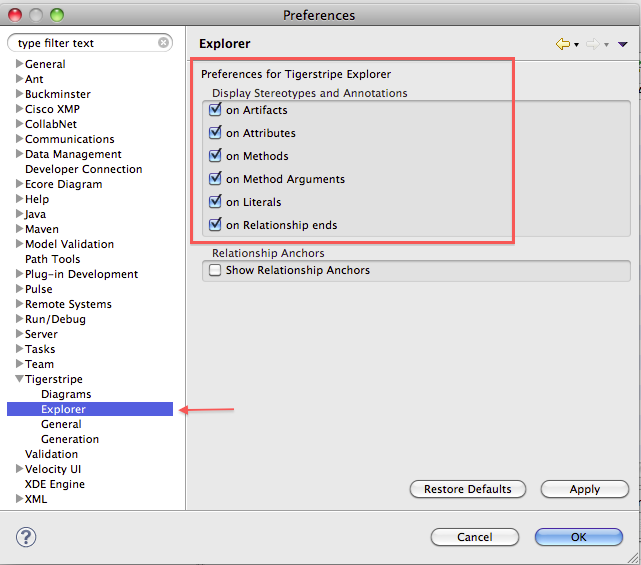 The following preference options need to be enabled in order to leverage this functionality. In the past, the annotation description was displayed at the top of the Add Annotation wizard. This caused the longer descriptions to be cut off and unreadable. They're now displayed in a scrollable section on the bottom of the wizard. 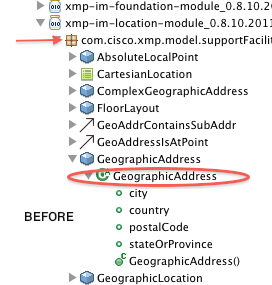 This was an issue where the dependencies would become inactive after marking a Facet as active. The 'save annotation' dialog would be displayed even when an attribute value was not modified. 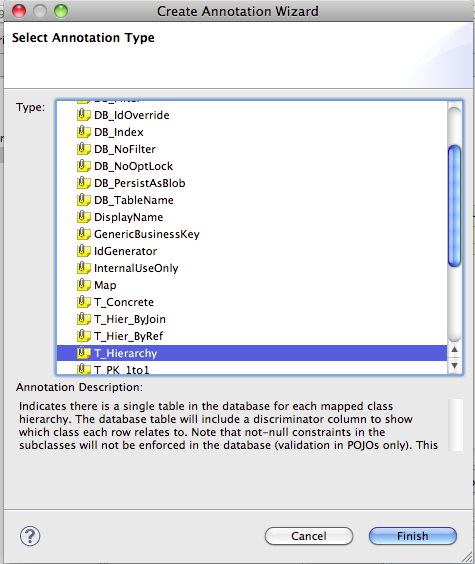 Simply clicking on the attribute value and deselecting it would trigger this dialog. This was a corner case where the Save All action would fail right after moving Enumeration artifacts. This was an issue where the remove action for stereotypes would misbehave right after a save operation. This page was last modified 16:50, 11 August 2011 by Navid Mehregani.